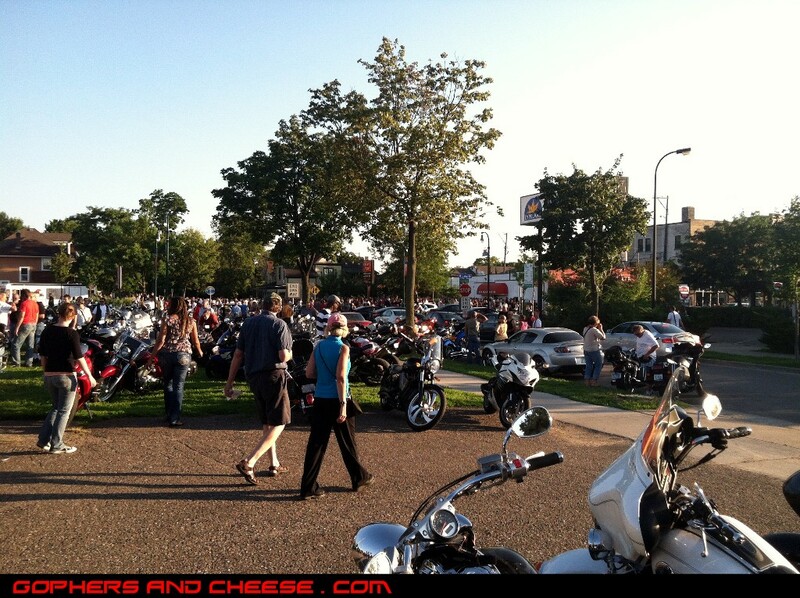 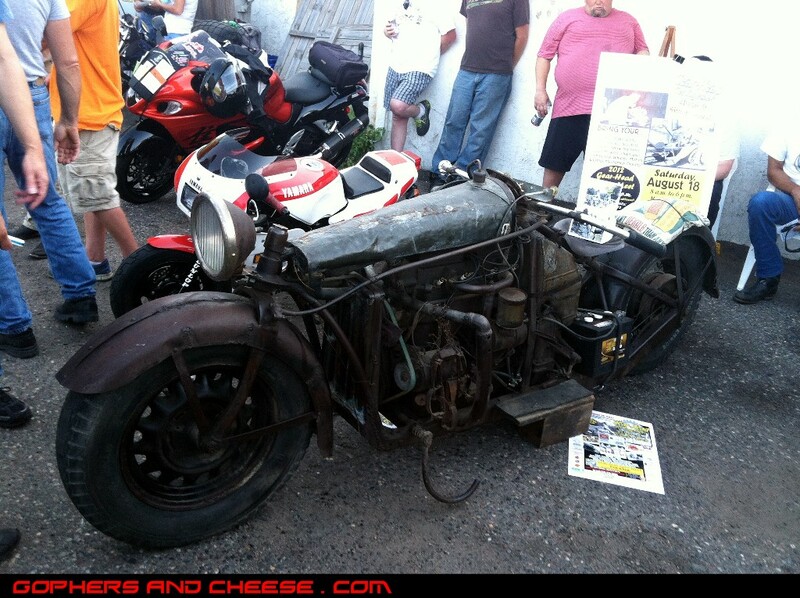 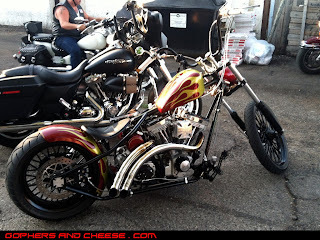 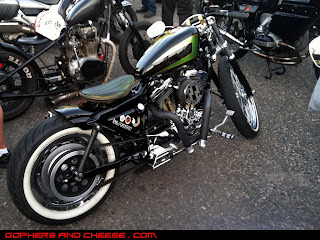 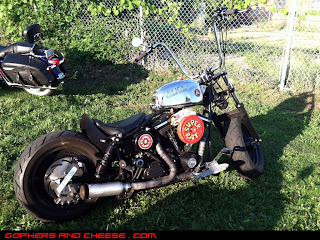 The first Thursday of every month is bike night at Dulono's Pizza in Minneapolis. The weather was beautiful so August's First Thursday was packed. 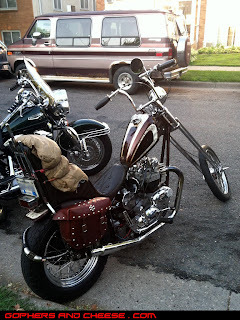 I rode my Sportster but oddly didn't take any pictures of it. 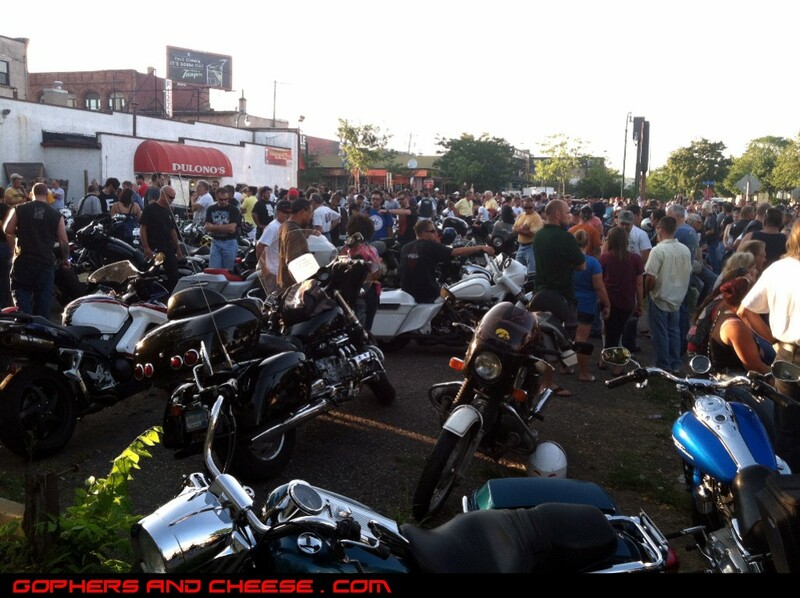 Anyway, here are some crowd shots. 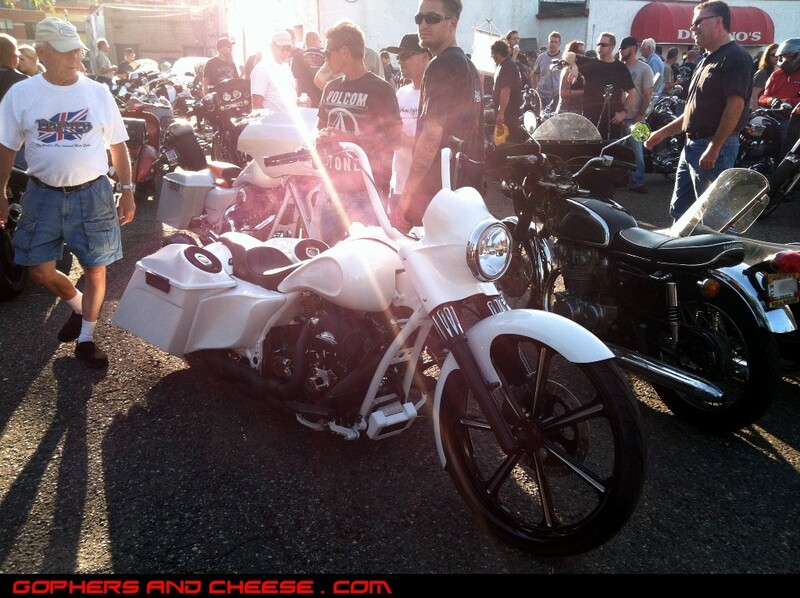 The sun was shining on this custom bagger. I have no idea what this is but it's clearly homemade. 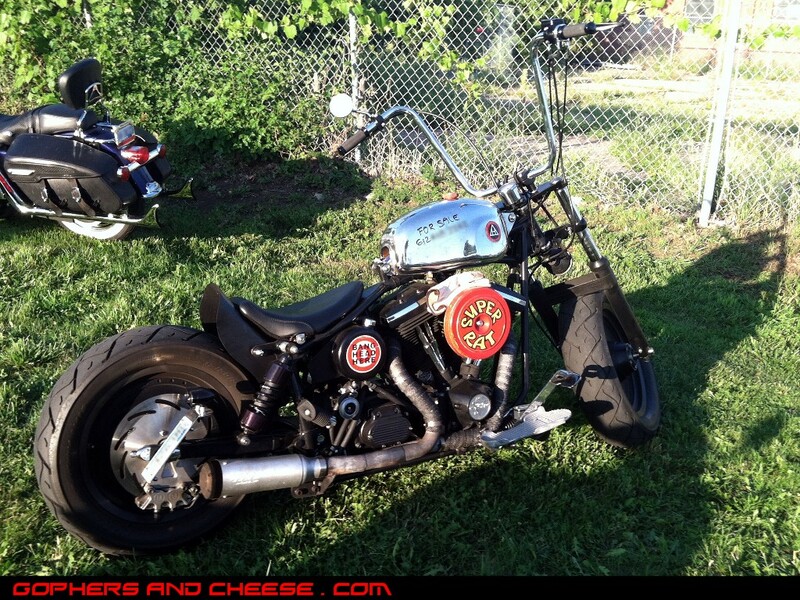 I've seen this West Coast Choppers bike around town before. 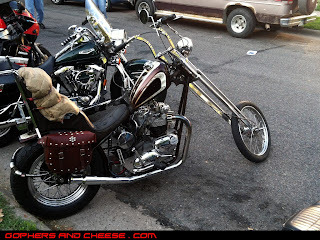 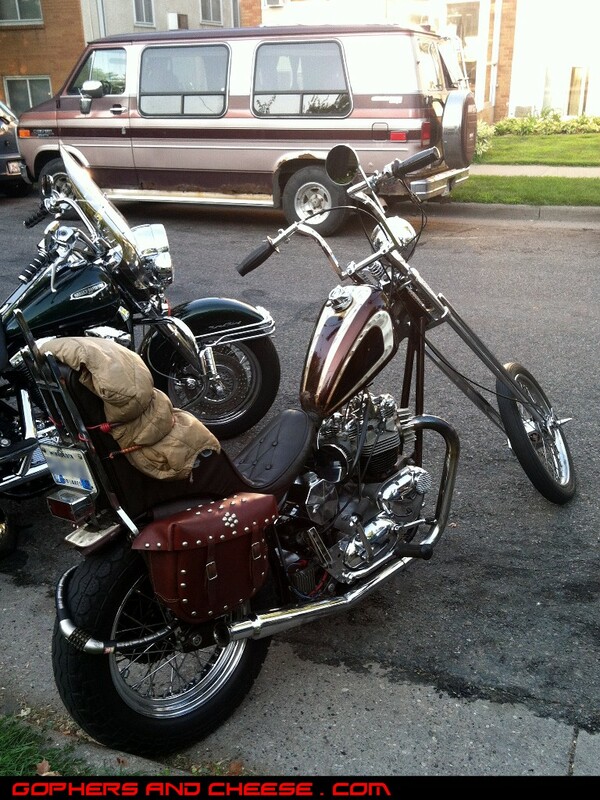 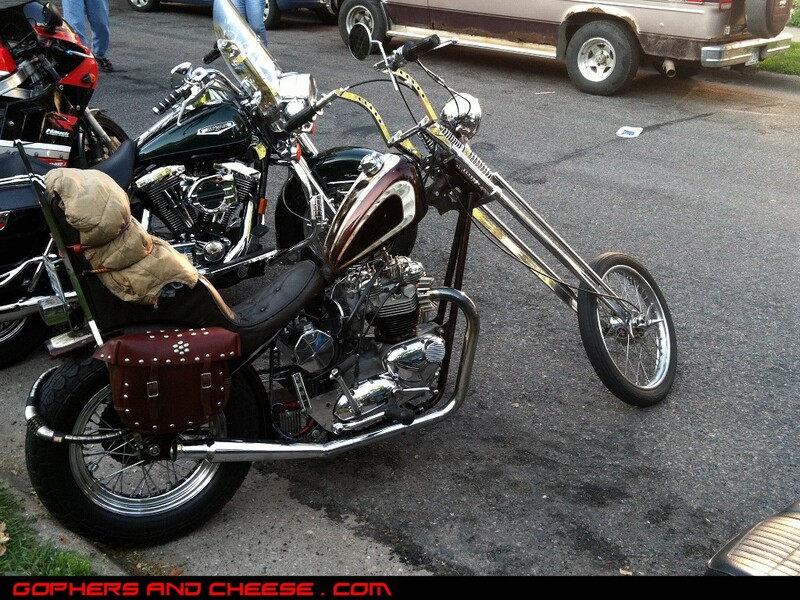 My favorite bike of the day was this raked out Triumph chopper.